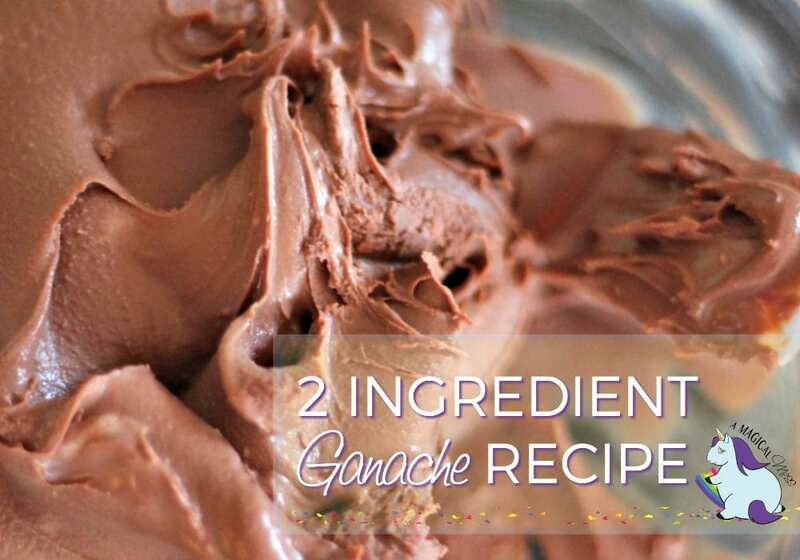 Ganache sounds like such a fancy word. Must be tricky to make right? WRONG. It only involves two ingredients, but the process is a little touchy. 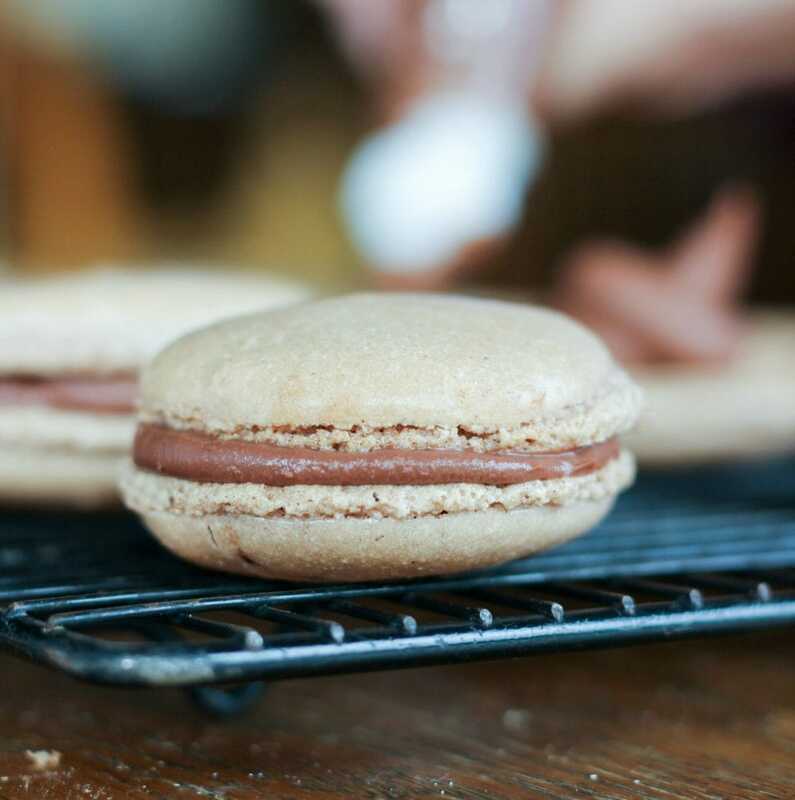 After making hundreds of French macarons, my aunt and I finally perfected these chocolate ganache recipes–after much trial and error. We looked at dozens of chocolate ganache recipes, and it’s really all about how you prepare it and the quality of the ingredients. We used a really good quality dark chocolate, and that makes a huge difference. This one isn’t too difficult to make because chocolate melts fairly easily, unlike white chocolate (see below.) You can use a microwave or a double boiler. If using a microwave, combine both the chocolate and cream in a microwave-safe dish. Heat for 1 minute and stir. Continue heating for 20-second intervals until the ganache is easy to mix and melted evenly. 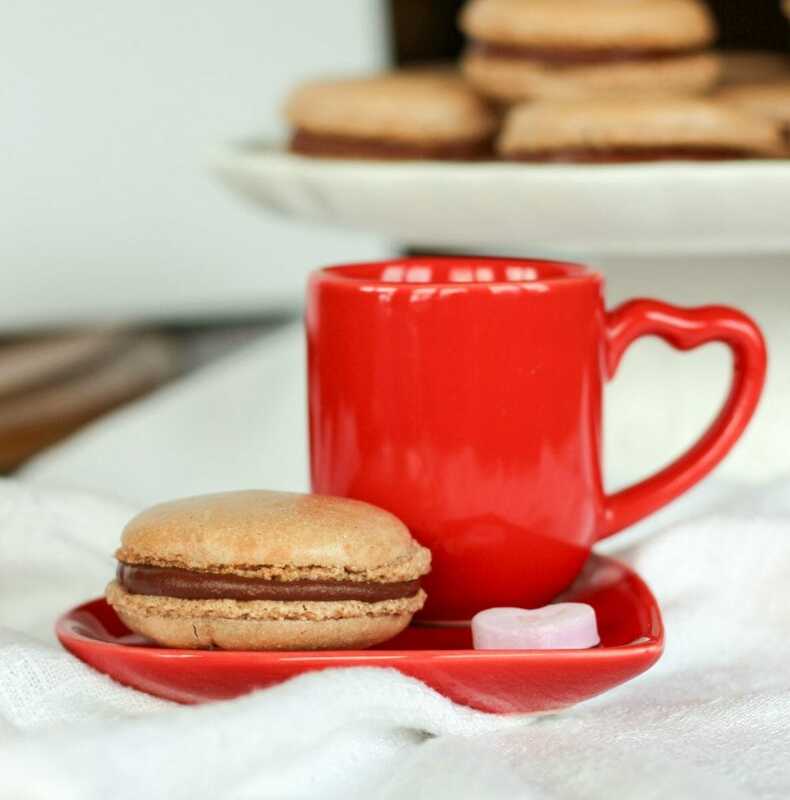 If using a double boiler, combine the cream and chocolate and heat over medium heat stirring occasionally until it starts to melt, then stir frequently to avoid burning the mixture. Once totally melted and mixed, place your dish in the fridge, or into an ice bath to thicken. If you plan on using it soon, don’t let it get too hard. White chocolate is far fussier when it comes to melting. I highly recommend using a microwave. I tried a double boiler and failed miserably. After multiple failures, I finally found this video below. Don’t you just love her accent?! We also used a very high-quality white chocolate with a high content of milk fat, so there was no need to add any butter. And, she says in the video to use a 3 to 1 ratio, but that left our ganache way too runny, so I find using 1/4 cup less cream gives the perfect consistency. Combine the white chocolate and cream in a microwave-safe dish. Heat for 1 minute and stir. Continue heating for 20-second intervals until the ganache is easy to mix and melted evenly. DO NOT OVERHEAT. White chocolate chunks will probably need to be manually smashed and mixed in with a whisk or spatula. 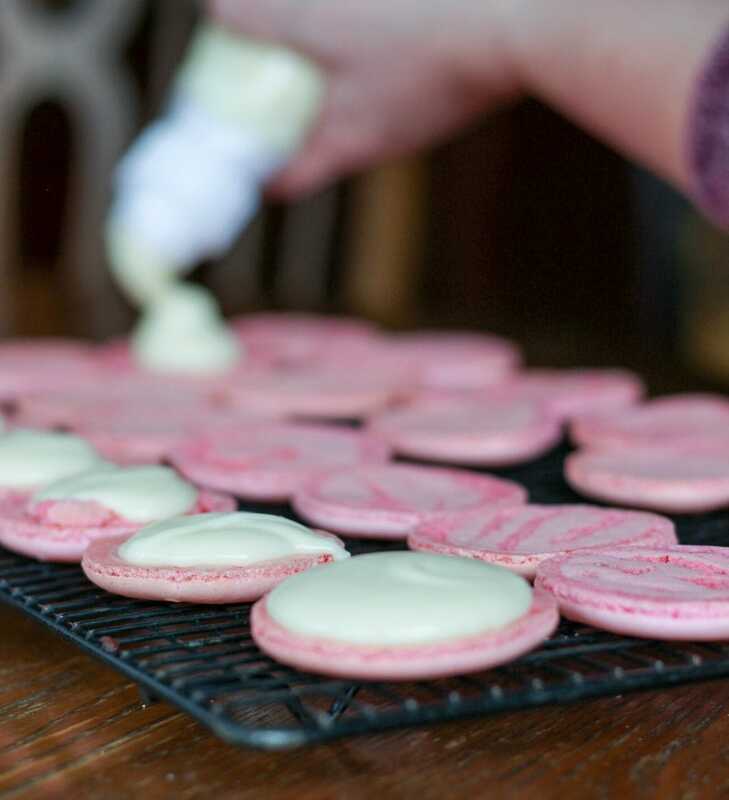 Once ready to use, put into a piping bag, spread on as frosting, macaron filling, or mix it into ice cream… or eat it with a spoon. 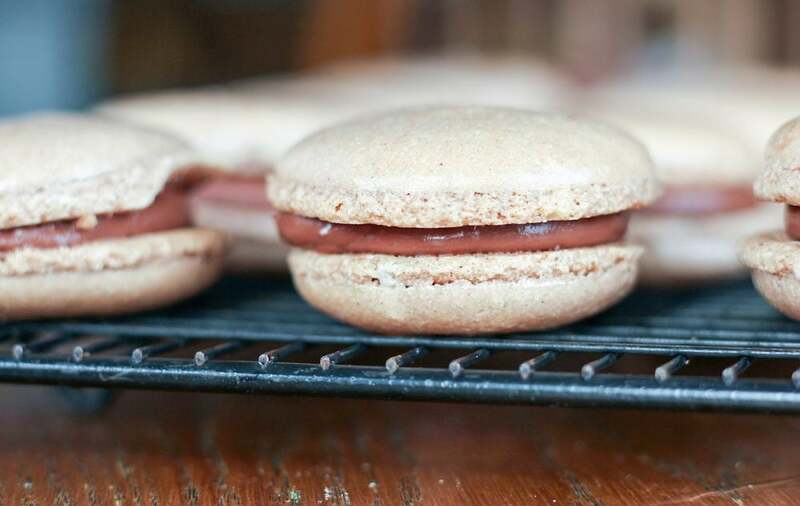 Better yet, use the dark chocolate ganache AND the white chocolate ganache together to make heavenly creations. As I mentioned above, we used this for the filling in our French macarons. However, it also makes an excellent frosting for cookies, cupcakes, cakes, etc. It could also be mixed into ice creams for that wonderful ribbon effect. Dip fruit into it while it’s still slightly warm for a really special treat. How will you put these chocolate ganache recipes to use? « Best In Show – How Would Your Dogs do in a Dog Show? Wow! 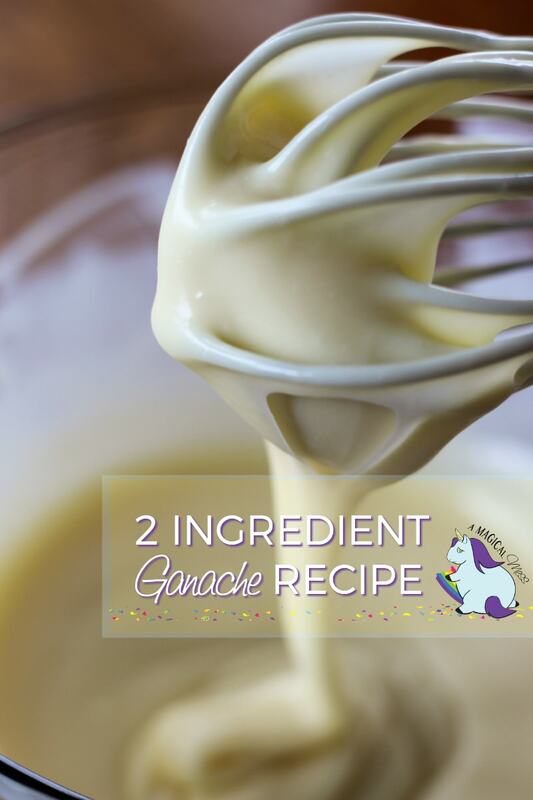 I’ve heard the word “ganache” used on the TV cooking shows and wondered what it actually was. I knew it was sweet and yummy, but I mistakenly assumed it would be way more complicated to make. Thanks for solving the mystery! LOVE this – great article! This looks good and you cant beat just 2 ingredients! I like how easy it looks. I always thought that the word ganashe meant complicated and it doesnt look to be so! Nice post! choclate ganache is so heavenly and tasty in everything. 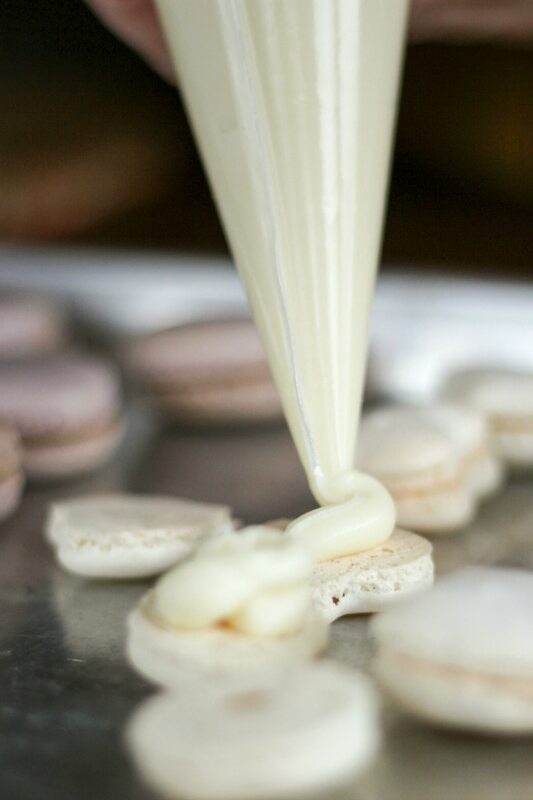 i never knew it was part of makiing macaroons but i must say i wnt to make these so bad. I have never attempted to make ganache before. This looks like an easy recipe, I will have to make this. Now I will be able to make this. Thanks so much for the easy recipe.